Sanguinaria is a hardy perennial that makes an ideal plant to grow in woodland gardens or shady parts of the garden. Common names include Tatterwort, Indian Plant, Bloodroot, and Woods poppy. They flower in the spring carrying flat or double white flowers atop of a stout stalk. The foliage is grey green and the leaves lobe shaped. Sanguinaria canadensis (Bloodroot) by wackybadger. Common Names: Bloodroot, Red puccoon root, Tetterwort, Pauson, Indian Plant, Woods poppy. Height: 8 to 20 inches (20—50 cm). Flower Details: White. Eight to twelve petals. Yellow stamens. Flat or double. Foliage: Herbaceous. Grey-green. Multi-Lobed. 4.5 inches (~12 cm). Sowing:Cover seed. Autumn. Germination time: one to three months. Temperature: 50°F (10°C). Seeds should first be sown into flats. Next sink the flat into the ground in an area that offers shade, preferably close to a wall that faces north. Provide a glass/plastic covering. Keep an eye on the flats to ensure that the soil remains moist and to check if seedlings have emerged. Remove the covering once seedlings have emerged. Transplant to their final location in late summer or early autumn. Space at 10 to 12 inches (25—30 cm). Requirements and care: Full sunlight, partial afternoon shade my be required in hot areas. Deep, cool soil. Soil pH 5 to 7. Regular watering during dry periods. Water during prolonged dry spells. Regular watering during periods of growth. Towards the end of winter supply a top dressing of manure. Plants die back completely once blooming has completed. Propagate: by dividing at the end of summer. 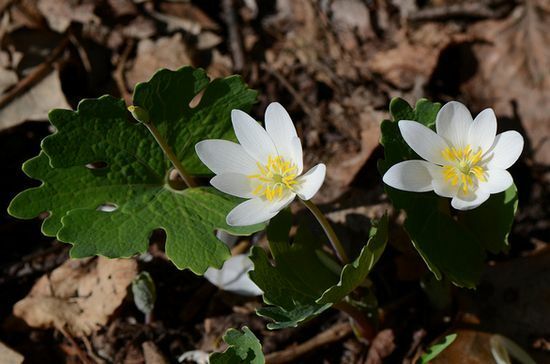 Miscellaneous: Genus contains one species: Sanguinaria canadensis. Traditionally used as an emetic and as a red dye by Native Americans. Used in tooth hygiene products. Sanguinaria seeds should be sown in peat pots and sank into a shady part of the garden in the autumn. The seeds should be lightly covered with top soil, and then the pots covered with glass. Check on the Sanguinaria plants every now and again to ensure that the soil stays moist. Germination should take from one to three months, once it has occurred the glass can be removed. You can also start off indoors first, sow in peat pots about 10 weeks in advance; ideally the plants will be transplanted in September so sow in June or early July. Once growing, space the Sanguinaria plant seedlings about 30 cm apart, in a sunny or partially shaded part of the garden. Ideally the soil should be deep, organic and of pH 5 to 7. Sanguinaria species are easy to grow and maintain. Once establishes supply manure at the end of every winter. They should be well watered in the summer and other dry periods. 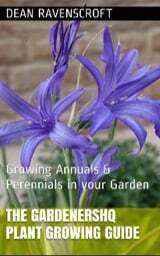 If you require more plants, then they can be propagated by division at the end of summer.